An amusement and sports park located in Pooler, Georgia, Fun Zone was operating on an outdated website that was, well, less than amusing. Not only was the website outdated, but it was also not responsive, meaning visitors had a difficult time viewing the website on their mobile phones and tablets. 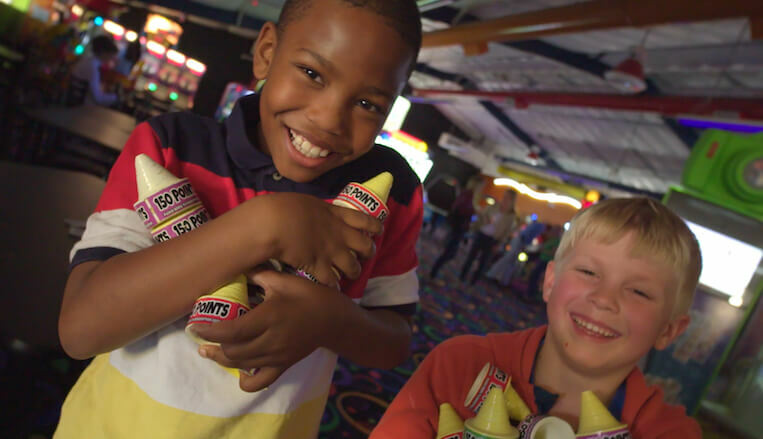 The facility had also undergone several major upgrades, including a renovated arcade with new games, an updated dining area with expanded menu options, and upgraded Go-Karts, so they wanted a website that showed off these upgrades. 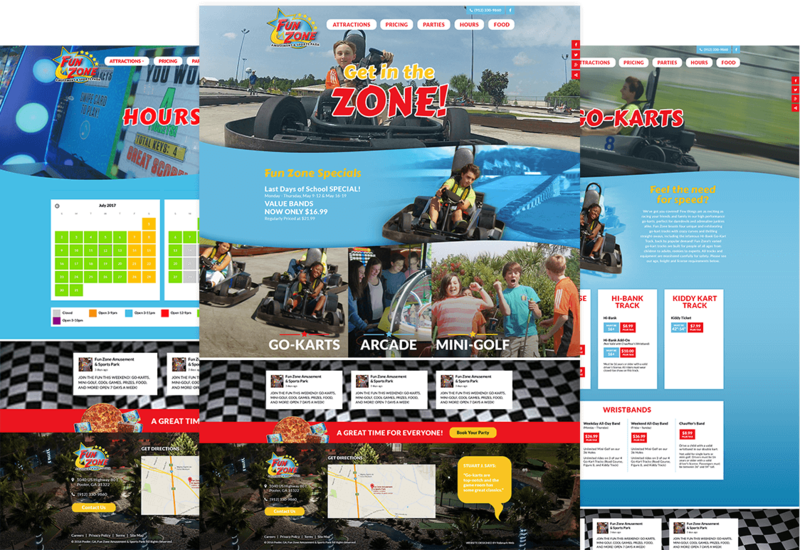 RobMark created a brand new, responsive website for Fun Zone. 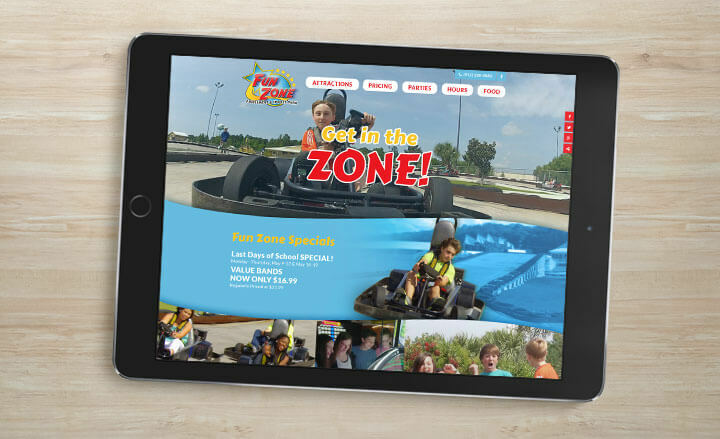 Boasting bright colors and fun photography that complement the playful personality of the business, the website features a video hero showing off the amusement park’s new, exciting games and Go-Karts. The website also includes a live Facebook feed, a color-coded calendar, streamlined pricing information, and more, which all help create a more enjoyable and intuitive experience for the user. The new PoolerFunZone.com is not only more visually appealing and user-friendly, but has also had a positive impact on overall website visitation and engagement. Since the launch of the new website, Google Analytics has shown an increase in the site’s sessions and users, a significant decrease in bounce rate, and thousands of homepage video views every month. The homepage video and photography throughout the site also showcase the facility’s modern upgrades and new offerings to current and potential visitors. Fun Zone is on pace for a record year!